To control the model you need three S-Bricks!!! 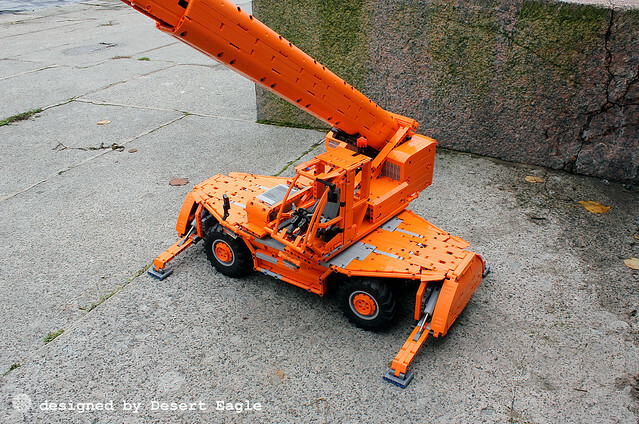 Merlo Roto Telehandler in 1:11 scale. The dimensions: 80 x 25 x 30 cm,﻿ total weight – 5,7 kg. The max height is 83 cm. The model contains 5090 parts. 7. 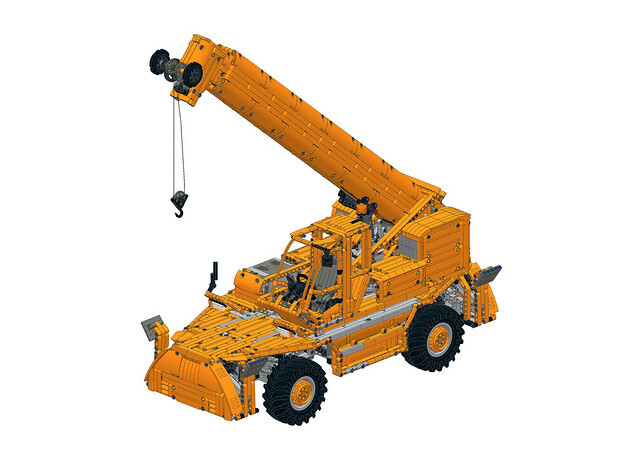 The crane operation – one M-motor.